This is Inigo. He is my new writing buddy. I say that because, whenever I'm trying to write, he hops up onto the desk, sits across the keyboard, tries to grab the cursor, plays with the cables, or tries to climb up and sit on my chest. You know, he's "helping." Truthfully, if I want to get any writing done I have to shut him out of the office. It's okay, though, because he spends some time sticking his paws under the door to give me encouragement. My goodness, here he comes now. As I continue to emerge from this sickness coma I fell into last Thursday, it occurred to me that I needed to post on my blog today to keep up with me "post every Tuesday" goal. Since this is probably all I'm going to manage today, I'd better make it good. First off, the sickness. This has been probably the most sick I've felt in years. Pretty sure it was the flu, but I did not go and get tested or anything. Why? Simple. The only insurance I have only covers family planning and women's health issues. Not general sicknesses. (basically, if I needed a hysterectomy I'm all set, but get the flu and I'm on my own) I don't have the money to pay for a flu test, just like I couldn't have afforded the flu shot this year. I also don't have prescription coverage that would have helped me pay for Tami-flu. Not to mention the doctor visit. So I had to rough it out the old fashioned way. Because of this illness, and because basically January 2013 has been one for the incinerator, I'm having to push back Tea for Two ONCE AGAIN. It won't be out this February. Honestly, whenever I do get around to releasing it, you're going to love it. I don't think I'm going to wait another year, though. We'll see how things go. Since moving to Idaho I have been employed by a wonderful bookstore wherein we sell your wonderful book. Recently, I had a bright, bubbly woman drag me into the fiction section and beg me for recommendations. I suggested the book I was currently reading and she marked it on a list, along with a few others I pointed out from past readings. Then she walked me through her favorites, insistent that I must read all of them if I had not already done so. At the very TOP of her favorites list, she pointed to a familiar purple cover and I said, "Oh, yes, I know the Peasant Queen. Cheri and I were in a writing group together when I lived in Utah." This bright, bubbly woman has commanded me to give you a message: The Peasant Queen is one of her absolute favorite books. She loves your characters, she loves the story, and she hates that she has been left with no continuation. She has given the book out to everyone in her circle of reading friends and they are all waiting on pins and needles with bated breath for the next story. Also, if you could ever make your way to Idaho for a signing, every single one of them would attend no matter what for the chance to meet you in person. Jacey Grayson is an average, young, divorced mother struggling to build a new life for her son, Blaze. But when the FBI discloses some disturbing information about her ex-husband, Jacey's life becomes anything but average. At the risk of losing her identity, her future, and her heart, Jacey and Blaze flee to Utah, hoping to hide and start over once again. But no matter how far she runs or who she pretends to be, her past is always lurking nearby, bringing old fears with it. 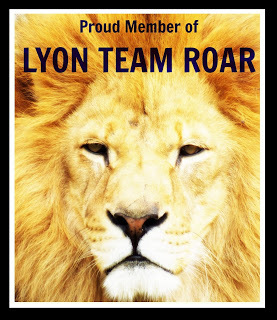 Thrilling action and a suspenseful plot make this novel an edge-of-your-seat-read. Got your attention? Good. 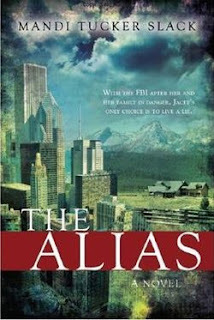 I'm super excited to spotlight Mandi Tucker Slack and her novel, The Alias, today on my blog. In case you aren't aware, her next novel, Tide Ever Rising, will be out soon. You can pick up The Alias on Amazon or your favorite bookseller. And I got you all the link for her book trailer, so be sure and check it out! 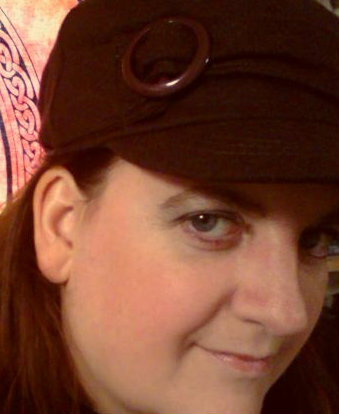 About Mandi Tucker Slack: I am the mother of three wonderful children. I grew up in Orangeville, UT, where my dad worked as a coal miner for eighteen years. I love the outdoors and spending time exploring new, exciting places with my family. I was a very imaginative child and that love of imagination carried into my adulthood. 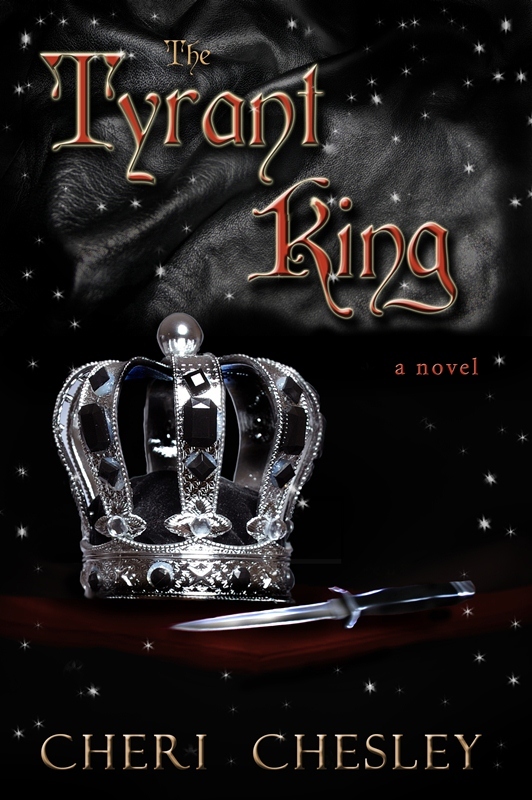 I love writing novels, especially romance and suspense. Cheri: What made you start writing? Mandi: When I was a child, I had a very active imagination. I used to play act my stories. Now, as an adult, I can't act to save my life, so I write. 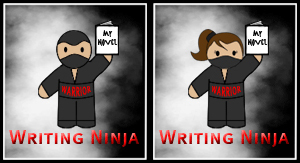 Cheri: What *keeps* you writing? Mandi: I have such an active imagination. I write, because I just feel driven to get the stories in my head down on paper. I love to create my own stories and build my own characters. Cheri: What are a few of your favorite books to read? Mandi: I have a ton of favorites, but these are the books I tend to read over-and-over again. Mrs. Mike by Nancy and Benedict Freeman, Return to Red Castle by Dorothy Keddington, and Run Away Home by Jennie Hansen. Thank you, Mandi, for visiting From the Other Side of the Mirror. I look forward to reviewing Tide Ever Rising next month! I feel this review, more than any other, should come with a disclaimer. Yes, ML Chesley is my sis in law. But, for those of you who have family--that doesn't necessarily mean I like her or her work. Because I do like her, it doesn't follow that I love her writing. I do have some bias, but I'll explain that as we go. The world of Adversarius is an intricate one. I don't generally read high fantasy (I generally lean toward a lighter fare), so at times it was harder for me to follow along than it would be for someone who cut their eye teeth on Tolkien. But I still kept up. Harder doesn't exactly mean hard or impossible. And, yes, because I know you're wondering, I DID identify with the assassin more than any other character. All of that said, and I'd give this book four or 5 stars because of what I loved, I'm going to talk about what I didn't like so much. Here's where my bias comes in because I'm more willing to forgive because she's my sis and because this is her first book. I'm also more willing to blame her editors and proofers than the writer herself. Some of the wording was flawed. Words were used out of place or the wrong words were used (affect vs. effect comes to mind). These are things that a good editor will catch. Mel's languages were wonderful. I loved that aspect of her writing. Her prose flows well and is engaging. Her character dialogue is smart, sassy, and snappy. I liked that a lot. And the flaws were minor enough that, after the first few chapters, I could let it go and enjoy the book. Really I don't know what you're still doing here. GO BUY Adversarius: Shadow of the Rose, book 1. You won't regret it. 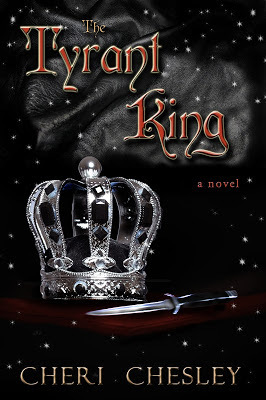 In December my sister and I launched a blog tour for The Tyrant King. Connected with the tour was a pretty awesome contest, if I do say so myself, where I offered a $50 Amazon gift card to not one, but 2 winners. Then Christmas happened. And right when I was thinking about wrapping up the contest, we had a death in the family. So the contest has sort of simply dwindled to a close...without an announcement of winners or anything. I've come to rectify that. Aren't you glad? However, due to circumstances beyond my control (having a great deal to do with having a contest during the holiday season, no doubt, when everyone is busy), one aspect of my contest had no entries. So I have no one to award a prize to. And that winner is...............MINDY HOLT! Congratulations, Mindy. Please remember to email me at Cheriwrites at yahoo dot com to claim your prize. And now you want to know why, don't you? Laura Lillian (Billie) Sloan Chesley could be described as rambunctious as a child. Or hellion. Sure, she was beautiful, but watch yourself. She had some sass. (I ought to know, it seems to have rubbed off on her granddaughters.) I'm sure she gave her momma fits in her teens. Her sons remember one time trying to hide her "whipping stick." About halfway through the endeavor,they decided the punishment would be too much and put the stick back. She told off doctors. She did what she wanted. She loved with abandon. She lived a LOT of life in her 71 years, even if she spent the last 15 confined to a wheelchair. And she has always been absolutely, utterly, and wholly supportive of me. No matter what I was doing. I cooked. And she loved it. I had kids. And she loved it. I sewed. And she loved it. I wrote. And she loved it. A few weeks before she died, my husband was visiting her and casually mentioned the trouble we were having with my laptop. What he really wanted to do was buy me a new one, but we can't afford it. "Get me my purse," she said. "I'll buy her one." Of course he turned her down. She didn't need to buy me a laptop. All that mattered was she absolutely wanted to. Billie is one of the few people in this world who accepted me completely for who I am and never once second guessed my decisions (to my face anyway) or belittled my choices. I can't begin to describe to you how very valued that made me feel. Now, getting back to that fateful morning when I had to decide whether to wear my black and silver "pirate" socks or go barefoot in my shoes so as not to offend anyone. I couldn't help but think how ridiculous Billie would find that problem. "Why are you worried about offending anyone? What difference does it make what they think?" I want to say,as a Chesley woman, I've done what I can to carry on the proud tradition of being my own person, marching to my own beat, and not following the crowd. I go where my heart leads me. It's what Billie did, and probably what she's still doing. :) I love you, Mom.